Why use our website to find a mover in Edmonton? Using our platform allows you to get 5 free moving quotes from movers in Edmonton in less than 48 hours. You can select the moving company that suits your needs by comparing their rates, services, experience, and reputation. How much do movers in Edmonton cost? Are they cheap or expensive movers? 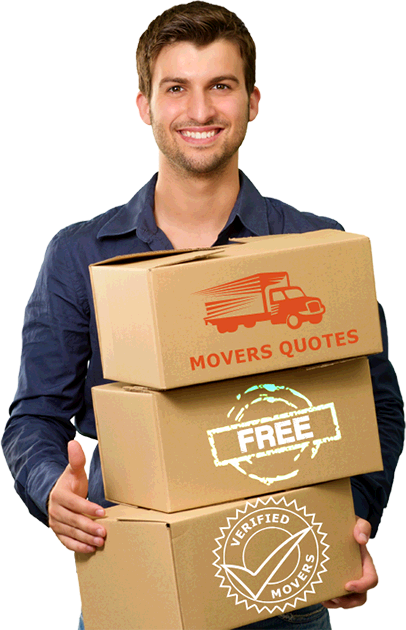 If you are looking for cheap movers, 5 Movers Quotes can help you find the ideal solution. Our network has moving partners that offer economical and premium moving services, depending on your budget. Want to find the lowest moving rates or a mover with high class services? Get free quotes to compare and choose based on your preferences. What kind of moving services are offered by moving partners of 5 Movers Quotes in Edmonton? It is important to hire the best Edmonton moving company for your move to ensure that your household goods are delivered safely and in a timely manner. Hiring the best mover doesn’t always mean the most expensive. Our partner moving companies offer tailored moving solutions to make your move smooth and convenient but at the same time affordable. Check moving rates, insurance, number of movers, size of truck, to get the best value for your money. Are you moving to Edmonton, Alberta or relocating from Edmonton to Vancouver, Toronto, or the USA? Edmonton movers know even small details that count. Some moving companies have special rates for moves direct to Vancouver, Toronto, and other major Canadian cities. 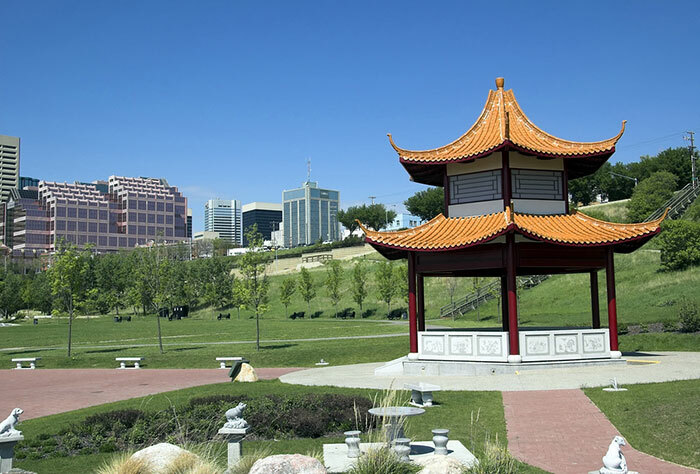 Edmonton movers are knowledgeable about the neighborhoods in the city. If you are moving to Windermere, Summerside, Hudson, Mayfield, Heritage Valley, Ottewell, Glenora, or Abbottsfield, these moving companies know the area and what it takes to get your move done the right way. People have different needs because each move is unique. Depending on how much you want to pay for movers, you can select from cheap, regular, or premium moving services. Regardless of your budget, you can expect our partner movers to provide care and attention to your move because you deserve the best. Our moving partners are reputable companies that are fully insured and licensed to transport household goods. You can save on moving expenses by customizing your moving services depending on what you need. You can hire a moving truck with 3 movers for a local move or obtain a complete moving service for a long distance move. When you request for free moving quotes, our moving partners use your information to evaluate your needs and give you the lowest possible moving estimate. When moving from one apartment to another in Edmonton, you want the move done as quickly as possible to save on moving expenses. If you are paying hourly movers, it’s smart to be prepared to get your move done as efficiently as possible. Plan and reserve parking space for your moving truck in front of your apartment building. You don’t want your moving truck circling the block for half an hour looking for a parking space. Reserve the elevator to cut down on waiting time. If booking a moving truck with movers, make sure to get the right sized truck (not too small or too big because that could affect your moving cost). For a small apartment, a 10-ft or 14-ft moving truck may be sufficient. Label moving boxes indicating which room you want them to go to speed up unloading and make unpacking easier for you. Make sure to update your renters’ insurance. Apartment moving in Edmonton can be a breeze with the right moving company. Don’t hire movers based only on cost but take the time to compare moving reviews, check Better Business Bureau rating, level of insurance coverage and quality of services. How do movers price your move to Edmonton? Moving companies charge hourly rates for local moves which include your moving truck and movers. If you need packing and unpacking services, that will also be billed on an hourly basis. Moving companies usually have a minimum number of hours (usually 2 or 3 hours) plus travel time. Long distance moving services are charged based on distance and weight of your goods. Movers weigh your cargo once the truck is loaded (by pound) and multiply that with their cost factor. Movers also consider other factors such as add-on services you require such as piano moving or packing services. One of the biggest mistakes you can make about your move is not to compare moving companies. It is quite stressful when movers show up late, jack up your moving bill, or are late in delivering your household goods. This only happens when you pick a moving company without checking their background or selecting a mover over the phone without asking the right questions. Get to know the moving company you hire before moving day. Below are reputable and experienced Edmonton moving companies that can help make your relocation stress-free. This Edmonton moving company offers local, long distance, international, household and commercial moving services.It is locally owned and operated but is an agent of United Van Lines. They add a personal touch to their customer service which includes offering air miles to customers and neighborhood services for new arrivals. The company enjoys high customer ratings and has a B+ rating with the BBB. This professional moving company is family owned and began operations way back in 1938. It offers relocation, transportation, warehousing to individuals and companies. It is affiliated with Starline Overseas so it is equipped to handle local and long distance moves as well as international moves. It also provides web-based move management to its customers for easy tracking and prompt moving services. This moving company is locally owned and accredited with the Better Business Bureau. They take pride in the fact that they don’t sub-contract moves to ensure efficient moving services. They guarantee that their movers will show up at your door and charges very reasonable moving rates. They can do your packing, loading and unloading, assembly and disassembly of furniture, disposal, and anything else about your move you need them to do. This moving company has an A+ rating with the Better Business Bureau. What is unique about this company is that its movers are also its owners. This means that every one of its employees work hard to ensure that customers are always satisfied with their move. They offer a low rate of $69 per hour for small moves which includes a mover and a truck. Depending on your needs, they can provide competitive moving rates at exceptional value based on number of men, truck size, and time of your move. This Edmonton moving company offers transparent rates with no hidden fees. It specializes in residential and commercial moving services for local, long distance, and international moves. The company understands you want safety and security of your goods. It proudly offers full cargo insurance up to $50,000 to cover against, theft, accidents, and damage due to bad weather. It also offers free standard coverage of $2.00 per kilogram for all local and long distance moves. For door to door delivery when moving in Edmonton, even for last minute moves, you can obtain free quotes without any commitment. These are just some of the best Edmonton moving companies you can choose from. It’s important to provide us with your details – address, destination, moving date, type of house (condo, 1-bedroom, small apartment) to receive accurate moving estimates. Our moving quotes are absolutely free and no obligation on your part. Our partner movers are reputable, licensed, insured, and registered members of moving associations or the Better Business Bureau. Fill-out our quick online form to connect with reliable Edmonton moving companies for your relocation and receive 5 competitive quotes. Save time and money by looking for your moving company with 5 free movers’ quotes.